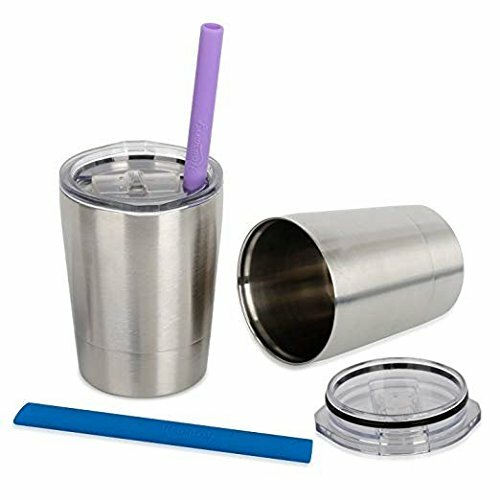 Hurry over to Amazon where you can grab TWO Housavvy Stainless Steel 8.5oz Sippy Cups with Lids and Straws for just $11.89 when you use promo code STRAWCUP at checkout! These stainless steel cups are BPA-free and feature a vacuum insulated double wall design to keep your kiddo’s drinks hot OR cold for hours. The soft silicone straws (colors selected at random) are safe for your kiddos to bite but durable enough to resist tearing.